Operating a business day-to-day is no easy task, while having it last 100 years or more is a major accomplishment. 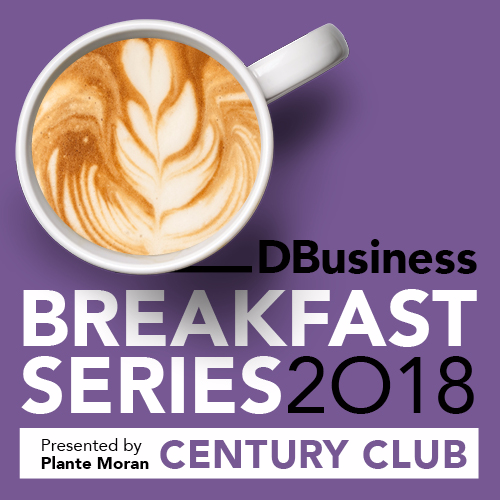 Join DBusiness magazine and DBusiness Daily News Editor R.J. King, keynote speaker Robert Forsythe, Dean of the Mike Ilitch School of Business at Wayne State University in Detroit, and members of the magazine’s Century Club (businesses/organizations 100 years or older) for a motivating breakfast about the new business school, which is set to open in April, and how businesses can reach and exceed the centennial mark. Need a Lyft to the event? Click HERE and enter promo code DBUS3 for 25% off a ride to or from the breakfast series.